Now that Christmas day has passed we are able to share with you this beautiful image which should now be with it’s proud new owners. We were contacted in October and asked if we could create a family group portrait for a beautiful Christmas gift. We were more than happy to oblige. The first hurdle was trying to find a date when every member of the family was available, not as easy a task as it sounds. On the day of their family portrait experience, the family arrived and pretty much filled the studio. We started with a couple of individual photos to put everyone at ease in front of the camera and then moved on to the group image that was the main intention. We ended up taking a few more images than normal, to ensure that there was going to be an image where everyone was looking the same way at the same time with their eyes open. Once we knew that we had this image committed to the memory card we moved on to a few smaller groups of other members of the family. We then finished with an image of all 14 members of the family who had come along to the portrait experience. Although we normally take photographs of smaller family groups, we thoroughly enjoyed the opportunity to work with a larger family group. The viewing session was a slightly more sedate affair than the high energy levels required during the portrait experience. The image you see above was the final choice of the family for the Christmas present and they carefully selected one of our traditional Oak frames to finish the presentation. I really hope that this beautiful present brought delight to the faces of the recipients on Christmas morning and that they will find somewhere beautiful to display this gorgeous image. 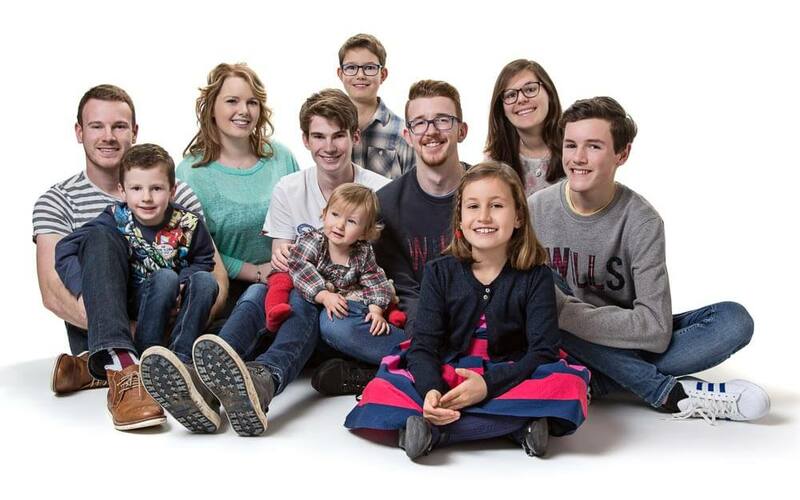 To book your family portrait experience, simply contact us via our ‘Book Now’ page.